If you have found our web site, you are probably intrigued by the possibility of owning one of the most exclusive vehicles ever produced by a British car manufacturer. 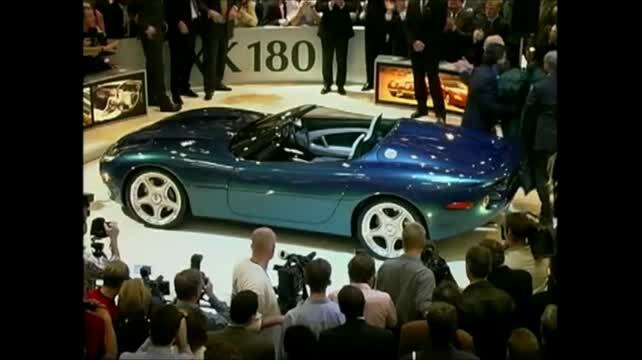 One of the more historic but little known announcements by Jaguar came in 1998 at the Paris Motor Show when the company unveiled the XK180 roadster (click on the video at right). Built to celebrate the fiftieth year of the introduction of the XK-series, and the XK120’s historic run at Jabbeke in Belgium, the XK180 concept car was created to showcase the skills and talents of Jaguar Stylists, Craftsmen and Engineers. Inspired by the great Jaguar roadsters of the fifties and sixties, the XK180 was hand-built in the Company's Special Vehicle Operations (SVO) workshops at Browns Lane in Coventry and completely stole the show in Paris.